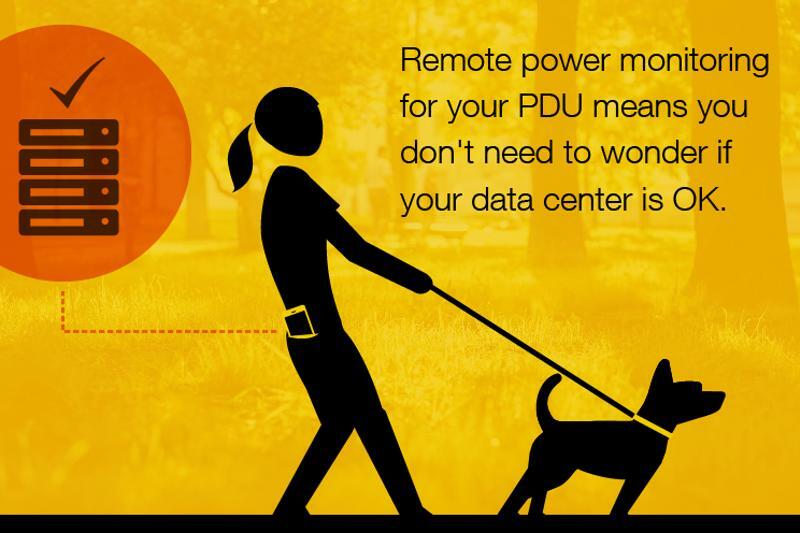 Is your PDU smarter than your house pet? We'll assume your dog can catch a Frisbee and sit down on command if you're holding a treat. It may even be able to tell how you're feeling. And if you're a cat person, you've surely come to terms with the fact that your feline friend may be trying to kill you (and you shouldn't be surprised; domestic cats are among just a few animals that kill for sport, and you're the most dangerous game). To be fair, data center managers don't benefit from power distribution units (PDUs) that catch Frisbees, empathize or plot your demise. Your PDU doesn't have to redefine sentience, but modular intelligence and internet connectivity can go a long way toward improving data center visibility and management. At the very least, the following benefits provide peace of mind so you can spend less time worrying about downtime during your downtime, and more time training your pet to bring you beer (more on this later). Intelligent PDUs with remote power monitoring fetch the most up-to-date power distribution data (amperage, wattage, power factor, etc.) in real time, meaning up-to-the-second accuracy. This is ideal for larger facilities and colocation data centers that would otherwise require manual walkthroughs, or "sneaker reports," to meter power consumption. Furthermore, PDUs can be retrofitted with additional intelligence units such as temperature and humidity monitoring. Remote switching is another intelligent PDU-specific benefit that can help managers operate facilities more efficiently. Using a smartphone from nearly any location with an internet connection, an authorized user can remotely power cycle a server or switch connected particular receptacles. Good luck teaching your dog to do that. When your furry companion is in need of a walk or a refill on chow, it'll probably let you know. Ideally, your data center would also tell you when it needs something. In addition to monitoring power consumption metrics and rack climate conditions, intelligent PDUs can be configured to send alerts via SNMP, email or SMS to an authorized user, regardless of his or her location. These early response systems are critical for ongoing awareness of facility conditions. The ability to remotely switch off certain receptacles is also extraordinarily useful should the need to curb power capacity arise. React fast, and you may be able to keep your racks from rolling over and playing dead. It's not cute when it costs nearly $9,000 per minute. Dog waste bag? Check. Data center uptime? Also check. Power load requirements could change within an afternoon based on the amount of compute power that may be needed to meet fluctuations in user demand. Data centers are becoming increasingly dense in order to support long-term facility growth. Managers are therefore under greater pressure to adopt what ComputerWeekly contributor Pratik Chube calls "adaptive architecture." Facilities must be able to scale up or down within short timeframes (e.g., within an afternoon or from one day to the next) while also being able to grow over time as demand fluctuations gradually increase. In order to make this a reality, facility managers must have a strong understanding of both short- and long-term power-usage data. Understanding current power capacity requirements helps them forecast growth and create models for future facility developments. But for this type of capacity planning to be possible, data needs to be accurate, and there needs to be a lot of it. Intelligent PDUs supply much of that data, helping to reveal how much power individual pieces of equipment utilize at peak and off-peak times. In practice, every one of your racks should have two PDUs that split the load between A and B supply feeds. The combined load of both PDUs should not exceed the capacity of either individual PDU. This is to ensure that if one of the feeds fails, the other feed can temporarily sustain the load. But data center managers would feel a lot better if they were able to confirm redundancy in the event of a failure without actually having to be on-site. Intelligent PDUs are able to do this with remote monitoring capabilities. Additionally, rapid spanning tree protocol (RSTP) ensures that daisy-chained PDUs are redundantly linked to a network switch via a bidirectional connection (as opposed to each PDU being individually hard-wired back to the switch, which saves a lot of copper). In other words, if a tree falls in the data center, you'll know about it, so you can rest easier during your time away from work.